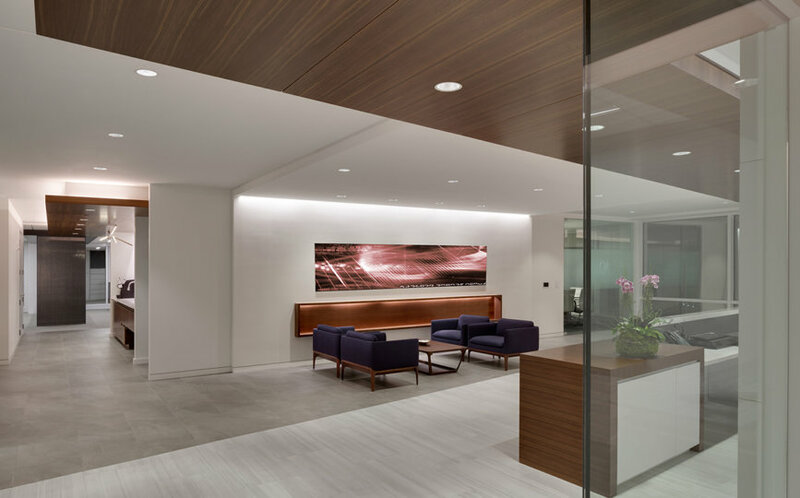 This project consisted of a complete interior demolition and build-back of the Childress Klein Properties Corporate office in the One Wells Fargo building on the twenty-eighth floor. 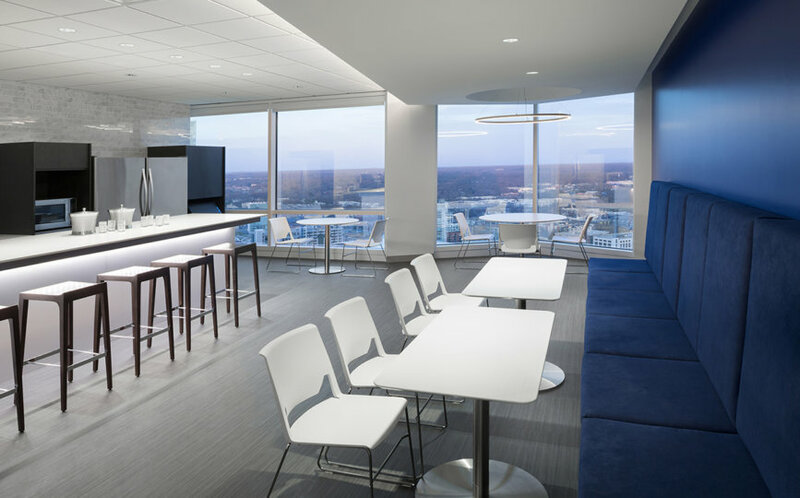 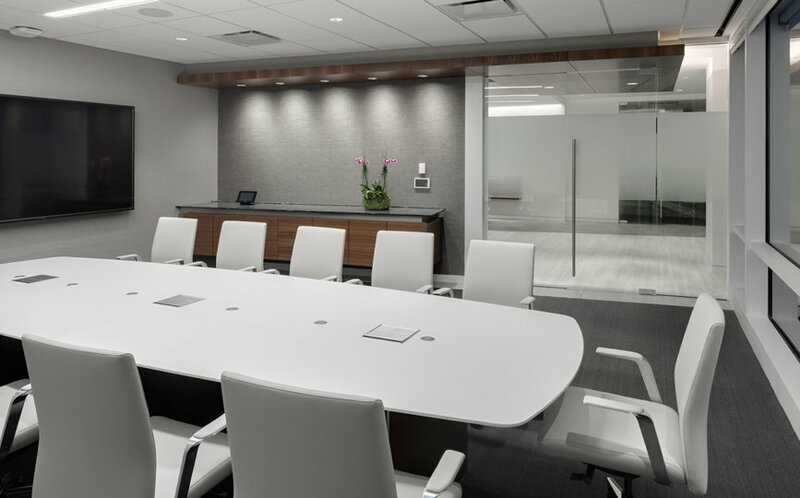 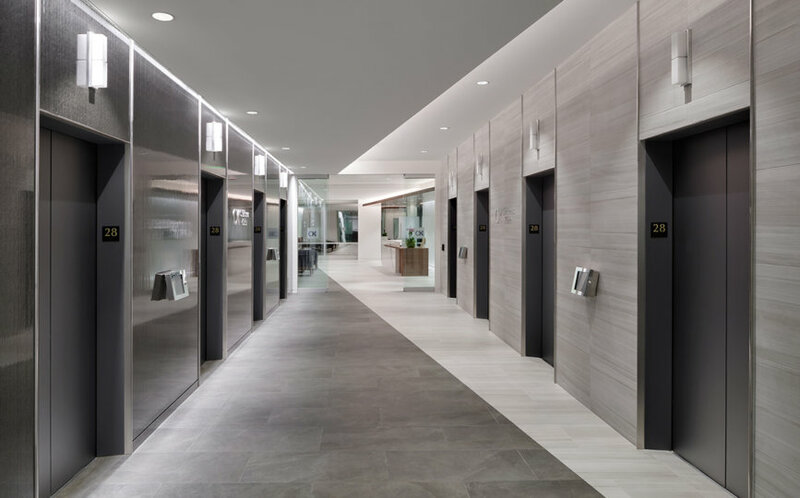 The addition of high-end interior finishes, ten modern conference/team rooms, a completely new breakroom, restrooms, and elevator lobby were all included. 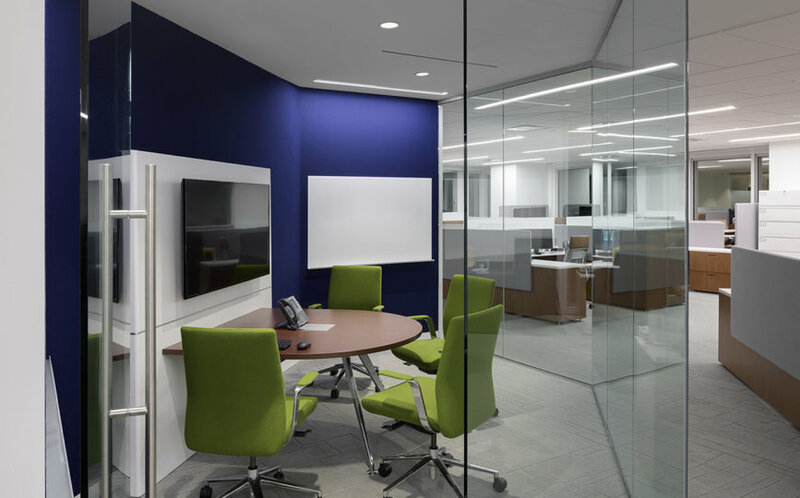 Electrical, mechanical and telecom alterations/additions were also completed during this project. 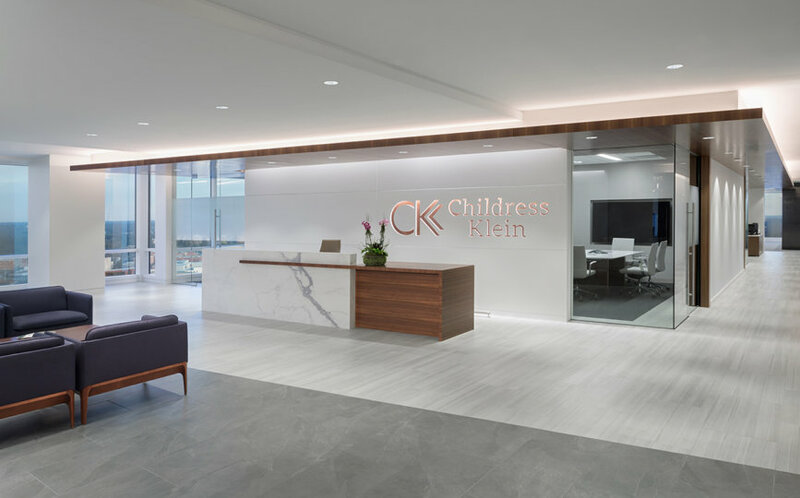 This sleek space now serves as the new brand standard for Childress Klein Properties. 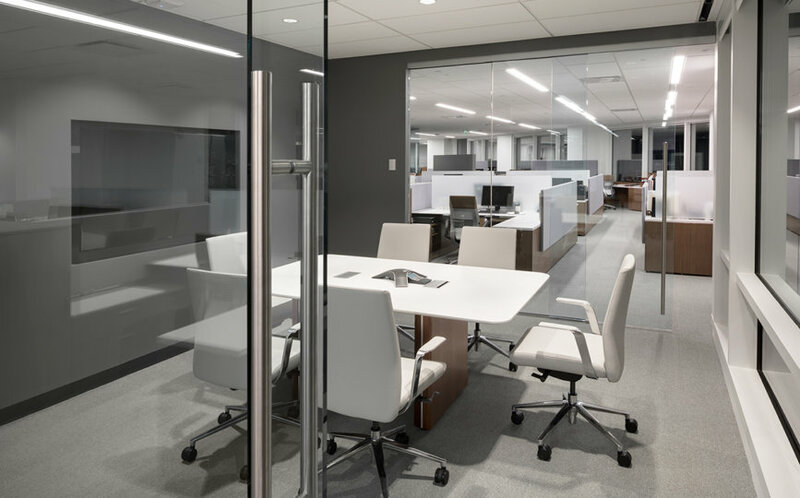 Floor to ceiling windows allows for natural light to be let in and the light colors opens the space up and creates a pleasant environment for both employees and clients.